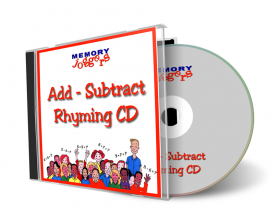 "I thought you might like to know that I used Memory Joggers with my son who's 8 to learn his times tables. He thought it was great fun and just got 100% on a big times tables test! So thanks!" 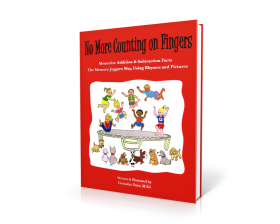 Studies have shown that children who have memorized all the basic facts of addition, subtraction, multiplication and division, are able to perform faster and make less mistakes on standardized tests. 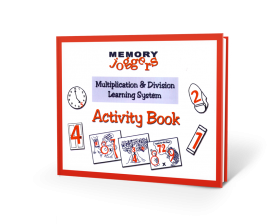 The Memory Joggers Learning System captivates student interest and imagination, inspiring children to learn. 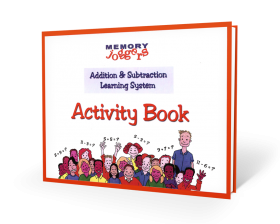 Students actually look forward to using Memory Joggers! 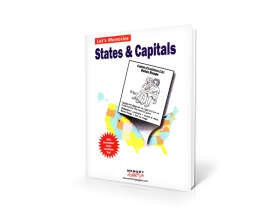 And as with any subject, greater interest also contributes to better results. 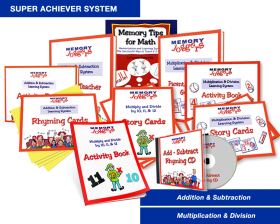 Memory Joggers was designed to meet the needs of all students. The philosophy is simple: different people learn in different ways. 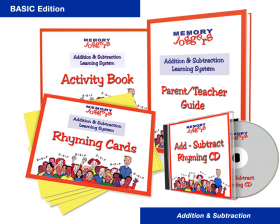 Some children learn best by using verbal areas of the brain. 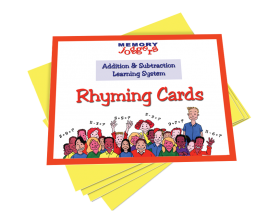 Others respond musically or rhythmically. 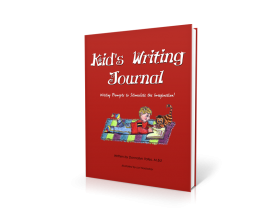 Many are visual learners and some are kinesthetic or movement based learners. 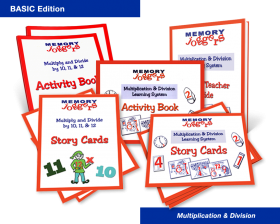 Memory Joggers was designed to meet the needs of all students. The philosophy is simple: different people learn in different ways. 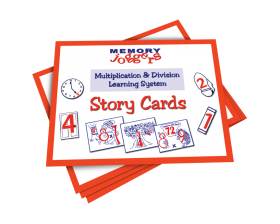 "I have used Memory Joggers Multiplication and Division Story Cards for 15 years. I don't know how I'd teach without them. 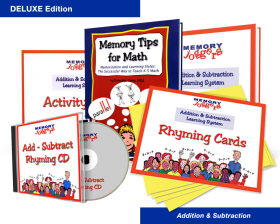 My learning challenged students would never have learned their facts without them. 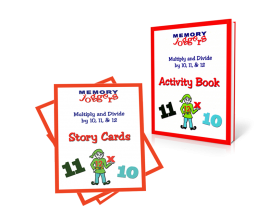 Thanks Memory Joggers!" 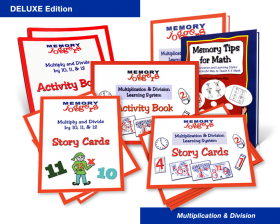 "My son and I are having fun with your multiplication and division learning system. He is 8 and has Down Syndrome. We've been hit and miss over the summer, however, this morning he remembered 9 x 7 , 8 x 4 and 9 x 9. And the best part of it is that he thinks it's so much fun. We act pretty silly and have a really good time going over the stories."